We subscribe to the idea that it’s better to know somewhere to conduct impulsive romantic affairs and not need it... than the other way around. 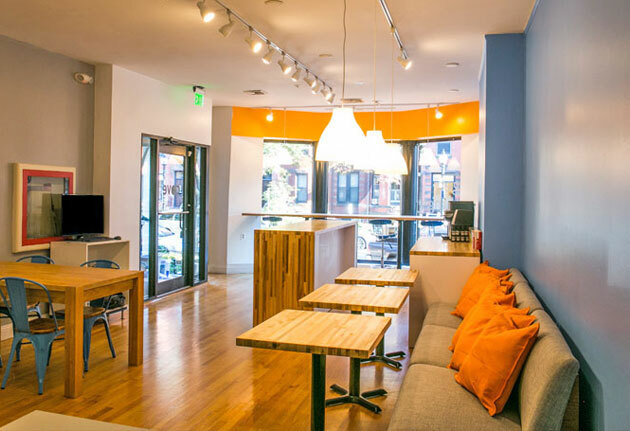 Thus, here are three things to know about Chandler Studios, the recently opened boutique hotel in the South End. Use as you will. To get in the building, open the gate to the small parking lot out back, or simply enter your room—it’s all keypad entry. There’s nobody to check in with. Just you, [REDACTED] and the ability to reserve by the day, week or month. Yes, they have kitchens. Name it. They’ll get it. Thanks to a 24-hour concierge service, they will entertain and execute any task you present them with. Dinner delivered from Tremont Street. An in-room massage. A gallon tub of whipped cream. Text them, and they’ll get on it. An alibi is probably stretching it, yeah.